Each decoration is handmade, giving each tree its own unique character. 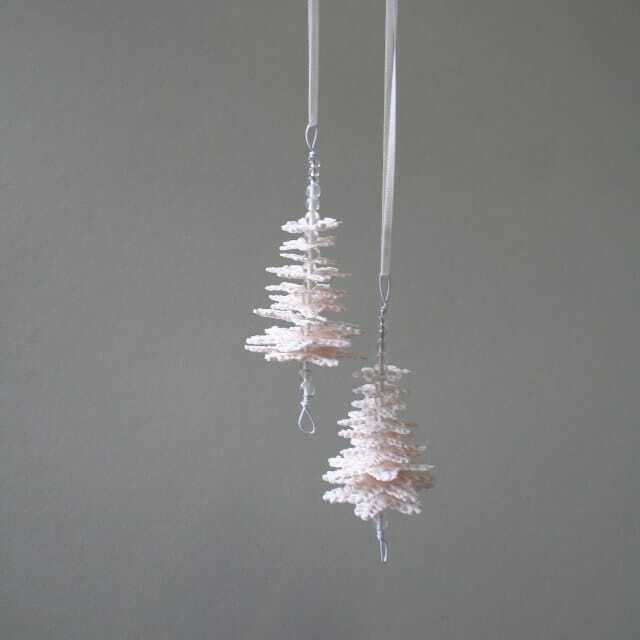 This beautiful tree design decoration is created using thin layers of high fired white porcelain with sparkling glass beads and hangs on a satin ribbon. 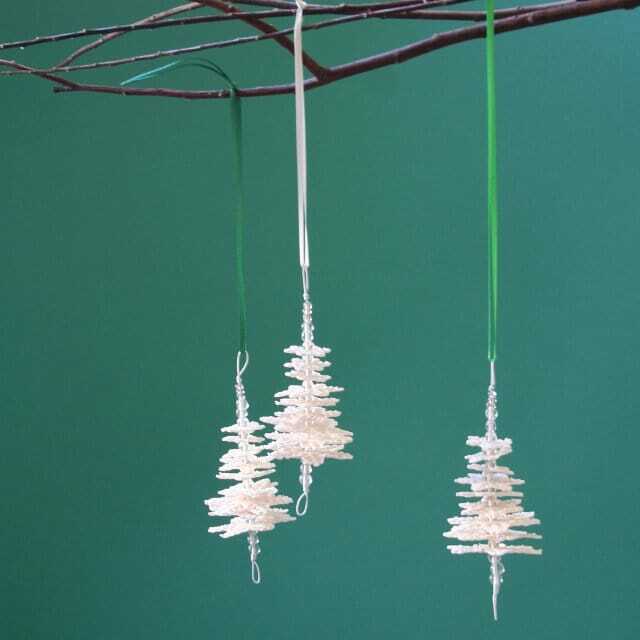 Each decoration is hand made, giving each tree its own unique character. Carol Sinclair creates all her work using delicate and translucent porcelain, and in this design she combines it with twinkling glass beads to catch the light. They hang on a satin ribbon.